Collects Fantastic Four (1961) #219-231 And Annual #15. 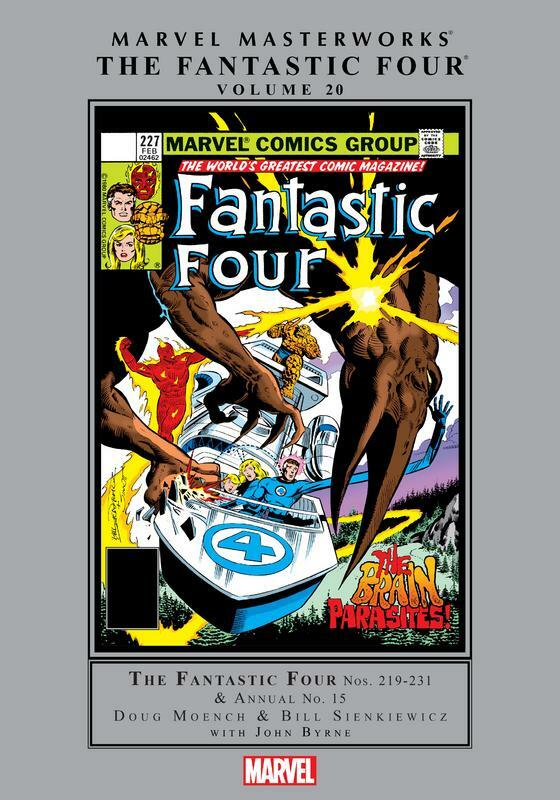 The Fantastic Four has always been the home for Marvel's biggest ideas and most creative concepts. It's a tradition founded by Stan Lee and Jack Kirby - and now, Doug Moench and Bill Sienkiewicz carry the torch (no pun intended) forward in this amazing Masterworks! Giant monsters invade New York! A possessed Franklin Richards threatens all reality with his immeasurable power! The FF join Captain Marvel in a cosmic war against the Skrulls, drawn by George Pérez! Doctor Doom retakes Latveria! A lost race of technologically advanced Vikings, powered by a blind god's tears, needs the FF's aid! And a trip to the great outdoors ain't no picnic when alien brain parasites attack! The legendary John Byrne makes his writer/artist debut, and so much more!